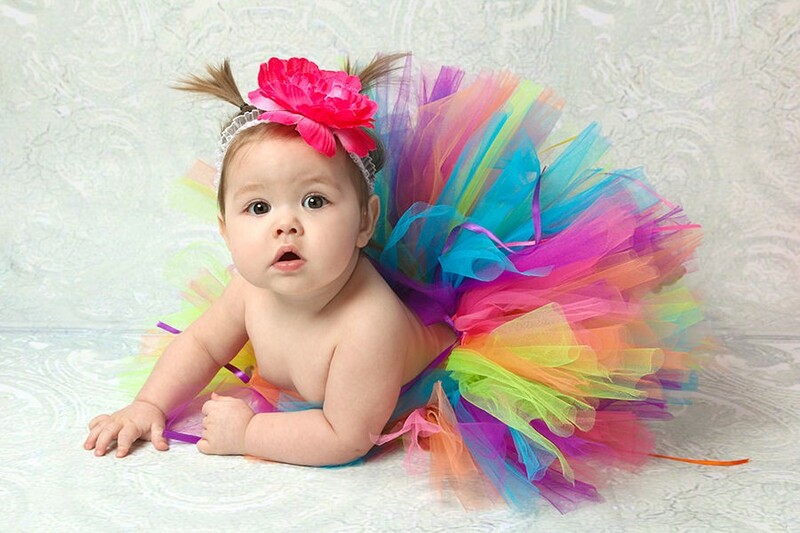 Likes.com asks: are these the worst baby names of 2013? 1) Danish: this is a terrible name for obvious reasons but we're mostly upset because we're not sure of the context. Do we make fun of him by comparing him to cinnamon rolls and other pastries or because of the irony of his American nationality? 2) Rainbow: at least you never have to worry about kids rhyming her name with something else. In fact, with a name like Rainbow, you just made sure she'll have a really good sense of humor. "I'm sorry, did you say Deidra?" "What's that a nickname for?" "Oh, it's not a nickname"
Shortly after that's where Duda breaks down and cries because instead of giving her a real name, her parents named her after the sounds she used to make when she was trying to learn how to say "dad". 4) Cricket: Busy Philipps named her daughter Cricket. Apparently because every little girl wants to be named after an insect? Especially one of the most annoying ones you could think of! 5) Ace: is the name Jessica Simpson picked for her second son. It sounds like a nickname so we hope this kid is prepared to say "yes, it is my real name" to the countless people who will ask. Also, wouldn't Ace make more sense for the first kid than the second? 6) Blip: no better way to make your girl feel empowered than to give her a name that literally means "a short, high-pitched sound". Also, a name like this is just begging for a mean joke like "blimp" from her peers so her parents had better be prepared to help her deal with the self-esteem issues that could come from that. 7) Axl: this was the name Fergie and Josh Duhamel decided on for their son. It's an edgy nod to pop culture but if this kid doesn't want to be a celebrity, that's going to be a tough one to pull off. C'mon, would you hire an accountant or a lawyer named Axl? 8) Sterling: is this kid supposed to be named after Sterling Cooper Draper Price? Cuz that's a fictional firm... it's also a last name, not a first. 9) Beau: this is the name Jamie-Lynn Sigler and her fiancé Cutter Dykstra chose for their son. Beau is a a pretty cute name but you have to have the right last name to offset it and unfortunately for this kid, he does not. Hey there, Beau Dykstra! 10) Lincoln: after the rest of this list, Lincoln is looking pretty good right now, huh? That's if you're ok with giving your baby the name of a middle aged man. It's the same reason people no longer name their kids Mildred, or Fred. These kinds of names only make sense after the age of 40.